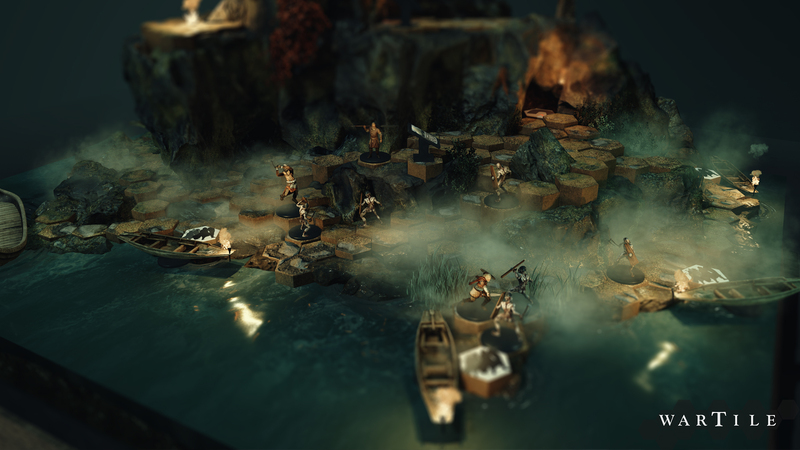 It’s with great pleasure and excitement that we finally can announce Wartile Early Access launch date on Steam to March 17th. With now 3 years of development the team are proud and happy. 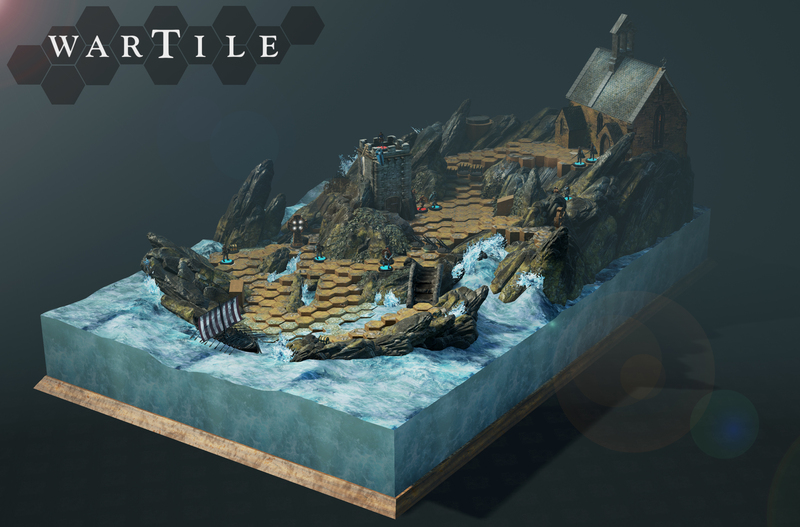 that we have come such a long way and now fell confident to launch Wartile on Early Access. Feedback from the community have been a huge help for us in locating and prioritize our battles in the game design, but also in how to design features to come. We would like to share some of the feedback with you. In the 0.4.4 update many players felt frustrated by the combat mechanics and the cooldown system locking down figurines. With the 0.4.4.2 This was changed and navigation of the figurines during combat got much more fluent and the reception was very positive. On Difficulty we raised the bar significantly throughout all Battle Boards and that shows on the feedback. Still the majority welcomed the change as a step in the right direction, with a few who voiced their fear of it getting to hard too enjoy the story. 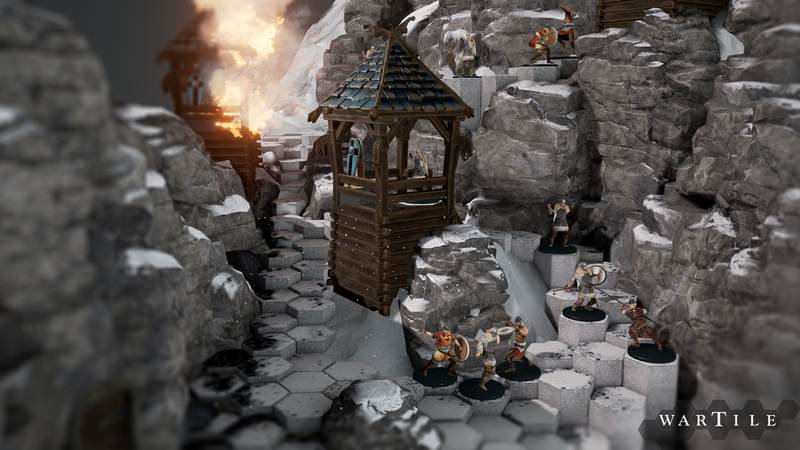 Knowing that most of you guys love a real challenge and realizing that life as a Viking was no dance on roses, we are currently implementing difficulty levels on each battle board that will unlock when you have completed all objectives on the board. This new level contain more trained enemies and additional encounters, but will also offer you the chance to unlock some unique equipment. The new Board difficulty levels will not break it for those who are just looking for a great experience, but don’t want to die trying. 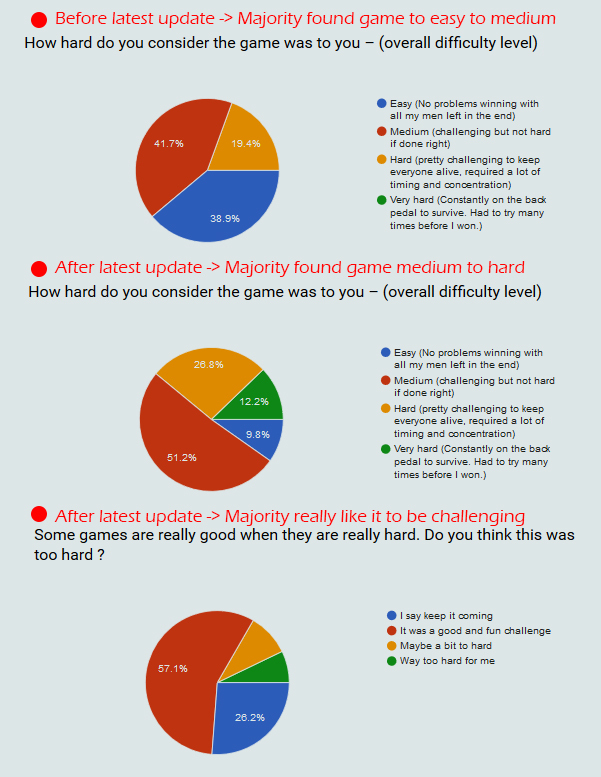 From our latest Closed Alpha round we asked our players where they would like to see the next improvements. For the next update we will introduce many new features to Wartile, as the pie chart above states, there is a desire for more playable content, deeper combat and customization. To highlight what we are working on here is a short summary, we will be going into details when we are just about the release the updates, as we work very iterative on each feature. Just now we are working on adding a Shop where you will be able to spend all the loot you earn. The first thing you will be able to buy is figurine classes, that you can bring with you into battle. Second we are introducing Enemy abilities adding more depth to the combat. Something that was highly requested by the Community. We have started adding Board difficulty levels that can be unlocked by completing all objectives, something that greatly will increase the single player content with a challenging experience and new rewards. We are also bringing in new Warrior and Spearman versions with their own abilities and different stats. We are also updating the whole story in a effort to add more local lore and story to each battle board. We hope that these new features will be well received. As always, If you have questions, comments or feedback, you are welcome to visit the Steam Community Hub for a more direct dialog with us or the Community. For the next newsletter update we will focus a bit on each Figurine class and how combining their attributes and abilities in the battle matters.